Hey what’s up. Welcome, to the first installment of a new weekly series debuting today on The Worley Gig, which I am calling Modern Art Monday! Each Monday, I will be posting a classic piece of modern (or maybe not so modern) art photographed by me on a visit to MOMA (Museum of Modern Art) or any of the other fine art institutions right here in Manhattan — and elsewhere! Because, when it comes to art, I get around! 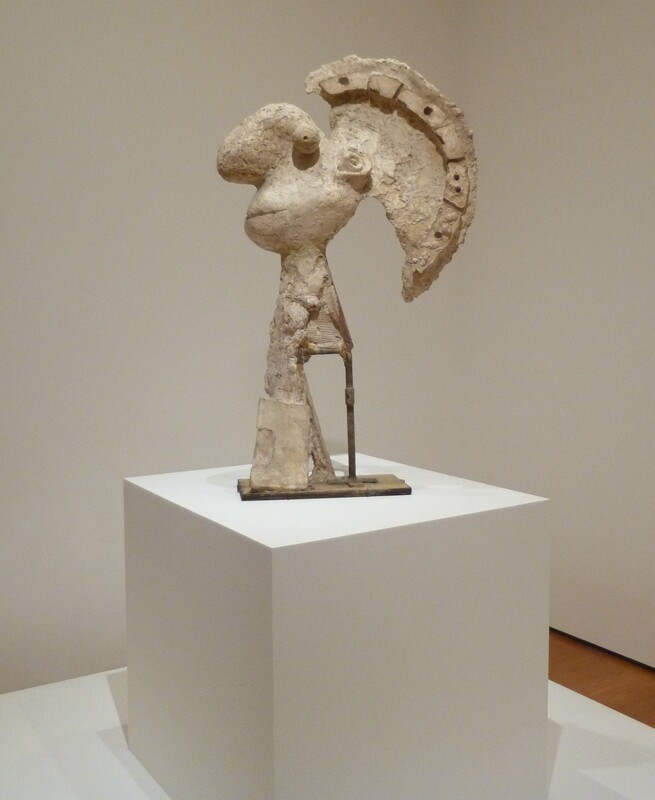 This week’s featured work is the Pablo Picasso sculpture, Head of a Warrior (1933). What I love about this piece is how Picasso’s exaggerated proportions make the head look a bit cartoonish. Although the head is crafted from plaster, wood and metal it is meant to emulate the look of a classic marble sculpture. The Museum of Modern Art is Located at 11 West 53rd St, Between 5th and 6th Avenues, in NYC. Picasso’s lovers said that he gave great head. Seems to be so!